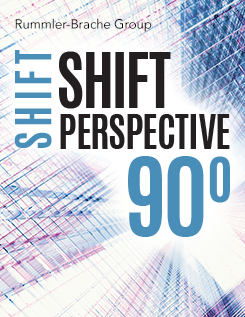 Managing in a process-centered organization calls for a new mindset. We’re dealing with work from a different slant. It’s no longer simply a vertical, top-down, task specific exercise. Management now involves broad spectrum responsibility for facilitating the flow of work from left to right. The old north to south style of management is too one-dimensional. Too localized. A process focus means our perspective must swing around such that we’re mainly thinking west to east...all the way across the company. Process re-designers often bank on the idea that everybody will buy into proposed changes just because they make good economic sense. But that rarely happens. 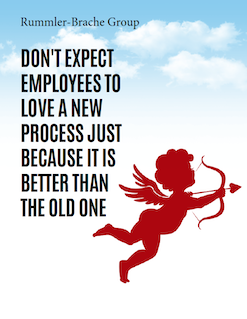 People don’t automatically fall in love with a nice process, even if it’s brilliantly designed. Let’s talk about management ROI—the return on investment you can expect from your management efforts. What offers the best payoff? 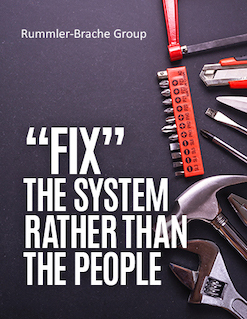 Experience proves that you’ll enjoy the biggest benefits when you focus on system changes, rather than trying to improve the various people who work for you. 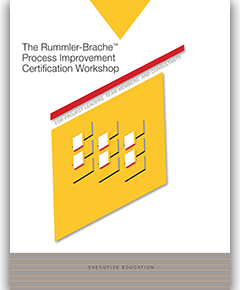 Processes work best when they’re simple. You want to keep them lean, elegant, and efficient. How do you go about this streamlining? 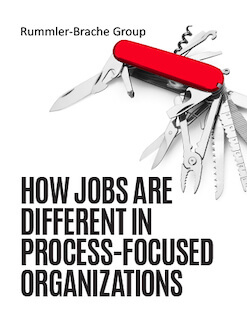 You get the complexity out of the process and move it into people’s jobs. This means the scope of people’s work has to change.They need to assume responsibility for a broader range of activities. Instead of being focused on one or two single tasks, their jobs should be designed around outcomes. Toward overall end results. They must migrate from specialized labor to more general, wide-spectrum duties. This requires an expanded set of competencies. It calls for know-how in multiple disciplines. It may be that the individual needs to understand and be able to perform all the steps in a given process. Since the people we serve and sell to are truly the ones in charge, a customer orientation should drive all of the organization’s activities. We need to start with the customers’ wishes, with what they want from us, with what they consider value. It’s not our opinion that counts. As the supplier, our perspective on what represents value, quality, or worthwhile work may be quite different from the customers’ thinking. 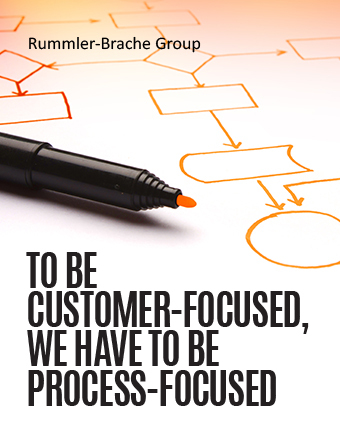 But if we’re smart, and if we take a process-centered approach, we’ll start by determining what customers really want from us. Then we’ll work backward from there. Nineteenth-century environmentalist John Muir found that each component of the ecosystem is in some way connected to all other components. The brouhaha over the snail darter, which ultimately halted construction on the Clinch River breeder reactor, was not just about a tiny fish that affects very few of us; it was about tampering with a small tile in the environmental mosaic. Each tile that is removed or changed alters, if only in a minute way, the balance of the picture. A wealthy owner of a baseball franchise will often recruit the most highly skilled (and highly priced) talent and wonder why his or her team doesn’t win the World Series. A championship team often pales in position-to-position matchups; it wins because somehow the whole is greater than the sum of its parts. The distinction is usually that the winning team as a whole, not just each individual player and function (hitting, pitching, defense), is being managed. We have found the Process Level to be the least understood and least managed level of performance. 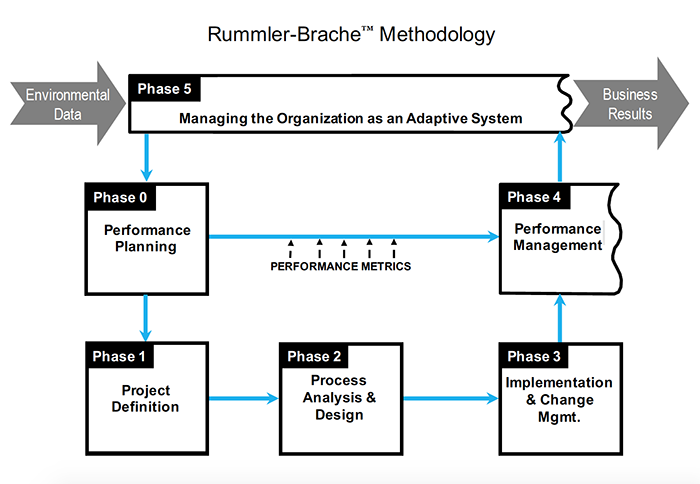 Processes are rolling along (or, frequently, stumbling along) in organizations, whether we attend to them or not. We have two choices—we can ignore processes and hope that they do what we wish, or we can understand and manage them. We have proposed that the only way to truly understand the way work gets done is to view an organization horizontally (as a system) rather than vertically (as a hierarchy of functions). When you view an organization horizontally, you see business processes. 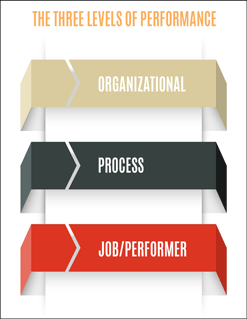 The Job/Performer Level is so named because it looks at jobs at all levels and at the people who serve in those jobs. 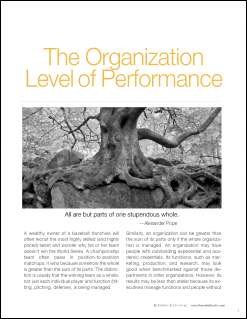 At this level, we take the same systems view that we take at the Organization and Process Levels. 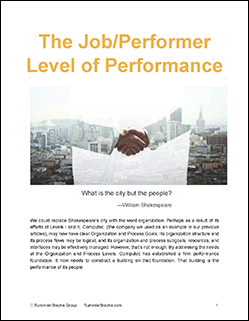 We believe that performance can be improved only if jobs and people are examined in an overall performance context. The need for a systems perspective is best illustrated by an analysis of managers’ typical responses to people problems. Aside from the frequent response of ignoring the problem, the actions we see most often are: train, transfer, threaten, discipline, or replace them. The common theme through all of these responses is them. Each action assumes that “them” is what’s broken, and therefore “them” is what needs to be fixed.